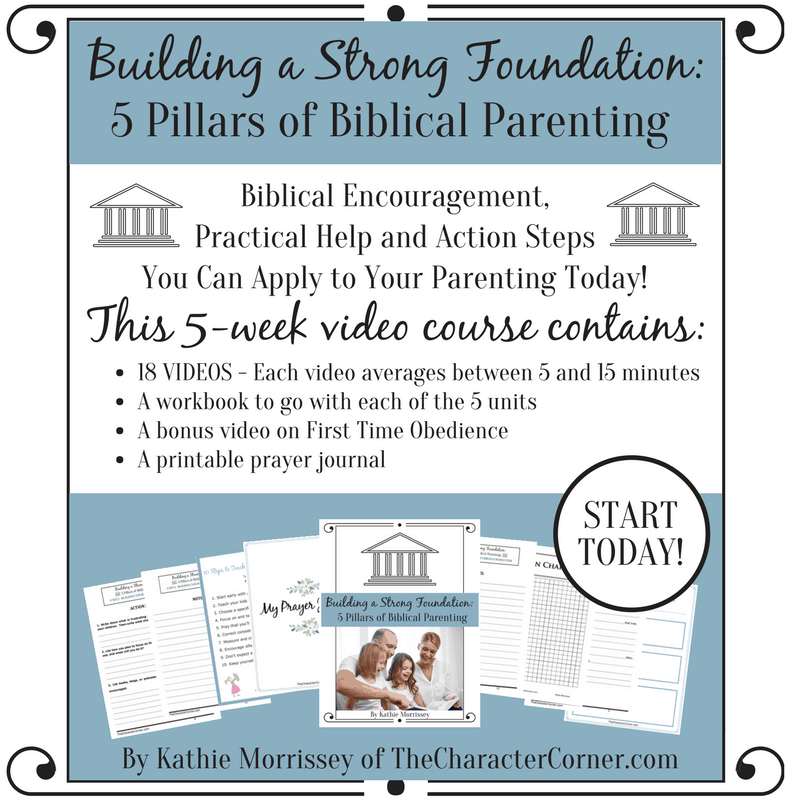 If you want to build a strong foundation for your family, I encourage you to join me for a 5 week video/workbook course. You will receive encouragement, practical help, and action steps which you can apply to your parenting immediately. 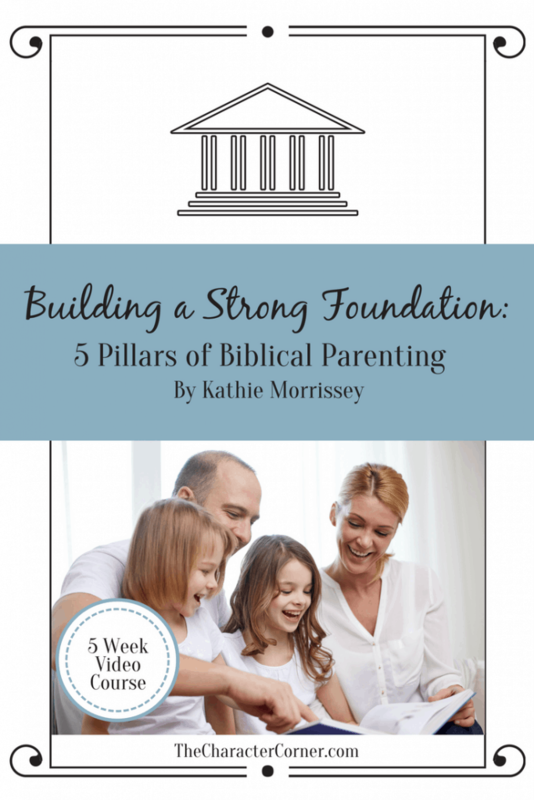 Bring peace and joy to your home as you connect to the hearts of your children, and watch God work as you build these pillars which lay a strong foundation. In this unit we will look at 3 aspects of faith to apply to our parenting, the importance of getting your children reading and loving God’s Word, as well as practical ways to build your child’s faith purposefully and consistently. 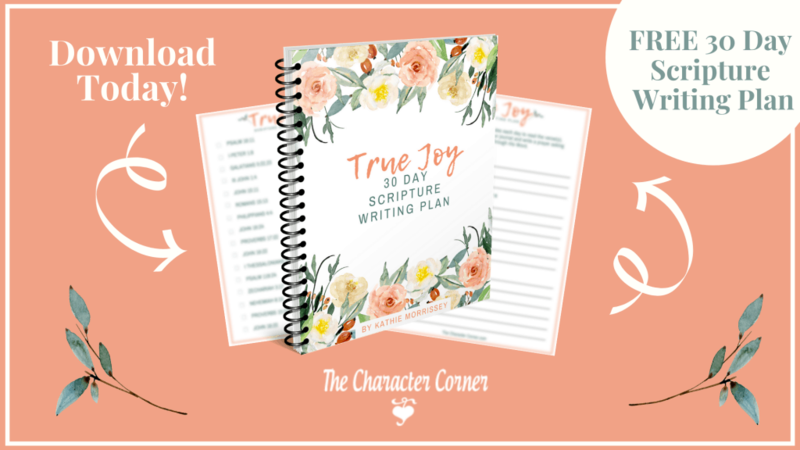 This unit will remind you of the importance of building Godly character in your children, while covering the most common ways that character is learned. Practical instruction will be given for setting up a plan to intentionally teach and train your kids in character daily. Several fun examples and ideas will be given to help you get started. Three character charts, and an obedience chart are part of the appendix for this unit. 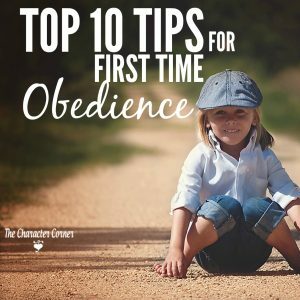 The most important thing you will learn in this unit is the purpose of Biblical discipline, as well as the importance of not just focusing on correcting behavior, but going beyond that to the heart issue. You will love the easy to use tips for training your child’s heart with Scripture! You will also learn how to take the frustration out of discipline, and see it as the opportunity that it is. This pillar is a key part of Biblical parenting, and focuses on the need to win the heart of your child. When you have your child’s heart, you have influence with them and can shape their values as you plant truths from God’s Word into their hearts and minds. 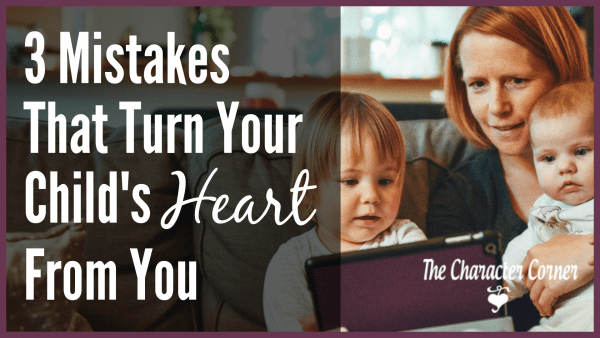 You will learn what some common mistakes are which hurt the relationship with your child, as well as get ideas of many simple things you can to help build that relationship and win their heart. You can work and work on building the first four pillars, but without the pillar of prayer, the foundation will still be weak. As parents, it is our job to work as though it all depends on us as we build these pillars, but then pray as though it all depends on God – because it does. He has to work in the hearts of our children, as only He can. This unit will guide you as to why it’s so important to pray for your children, ways to pray for them, and specific things you ought to pray for them. A beautiful prayer journal accompanies this unit to help you plan to pray regularly and consistently for each child, using the ideas given. When you register, you will get an introductory welcome email, and on the first day of the course, you will receive an email with a link to set up your account and password to access your account. ~Thank you for putting this study together, it has been a huge blessing! ~This course was absolutely wonderful! So much information was provided that we as parents need to know to be able to raise our children in a way that honors God and blesses our children and it was very encouraging. My favorite session was on building relationships with our children. It was a wonderful reminder that our relationship with our kids is so important and that it blesses us and our children when we do our part as parents. ~This is the most practical advice for Godly parenting you will experience this year! The thing that helped me the most was the practical application of the information given. You outlined the concepts and then provided great practical applications that I could easily adapt for the age of my kids and the dynamics of our family. ~This is a great course to just get you started on your journey of training your children in character. This course offers great ideas without being overwhelming or impractical. It has helped me to make small changes daily to develop better habits with my children.